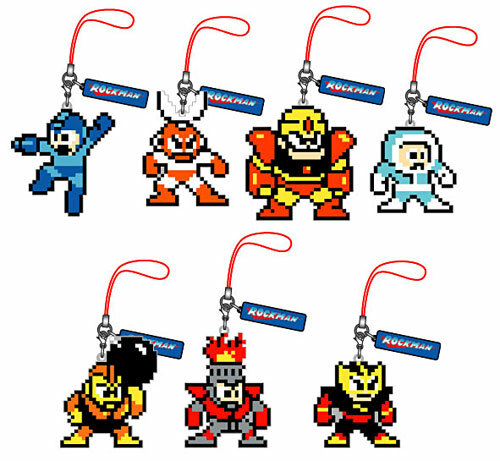 Capcom and Creative Union are teaming up once again with the arrival of all new Rockman Dot straps. A new batch of the popular sprite themed decorative straps were revealed earlier this morning at Ami Ami, who have begun accepting preorders. Volume 2 once again features nine classic series characters, though only seven have been revealed. 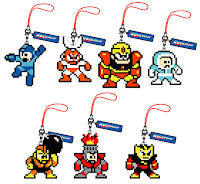 While volume 1 was primarily focused on protagonists, volume 2 looks to be themed after Rockman 1 Robot Masters, save for the inclusion of a lone Rockman strap. As with volume 1, you won't know what straps you'll get upon purchase; they're pretty much trading figures. Ami Ami is selling them in boxes of eight, so there's a chance you may wipe out most of the collection in one fell swoop... or end up with a bunch of duplicates. You never know! Dot Strap collection volume 2 is set to ship in mid-July for 3,100 ($36.47 US). Preorder your set here. Thanks for the tip, Heidi! I recently learned how to print out sprites in large without fuzz or loss of quality.